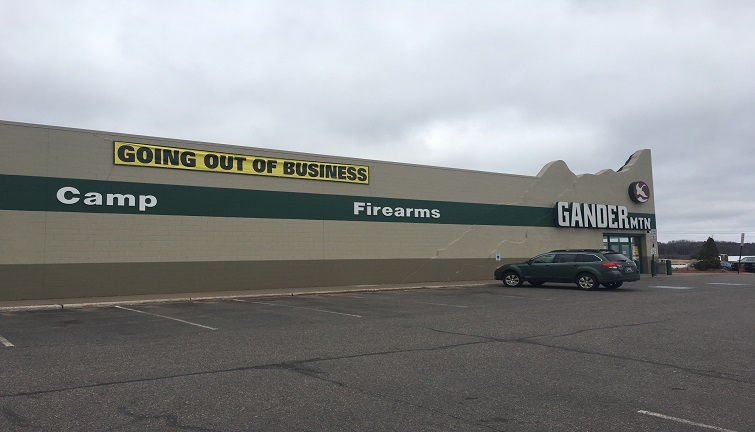 MARQUETTE TOWNSHIP — The Upper Peninsula’s only Gander Mountain location could soon be closing its doors. Located on US-41 next to Menards in Marquette Township, the store has a ‘Going Out of Business’ sign on the building. A manager at that location could not comment on the situation. ABC 10 did reach out to the store’s corporate communication liaison. Gander Mountain was recently acquired by Camping World. That company’s CEO has made it clear that a ‘Going out of business’ sign does not necessarily mean an individual store will be closing. Back in March, Gander Mountain filed for Chapter 11 Bankruptcy protection and closed 32 stores in 11 different states, which led to the loss of 1,200 jobs. A man was taken into custody after possibly firing at livestock.